Poland wants the US to establish a permanent base within its borders to combat "increasing Russian interference", it has emerged. A proposal by the country’s defence ministry, obtained by Polish media, reveals Warsaw is willing to pay up to $2 billion (€1.7 bn) to help make it happen. 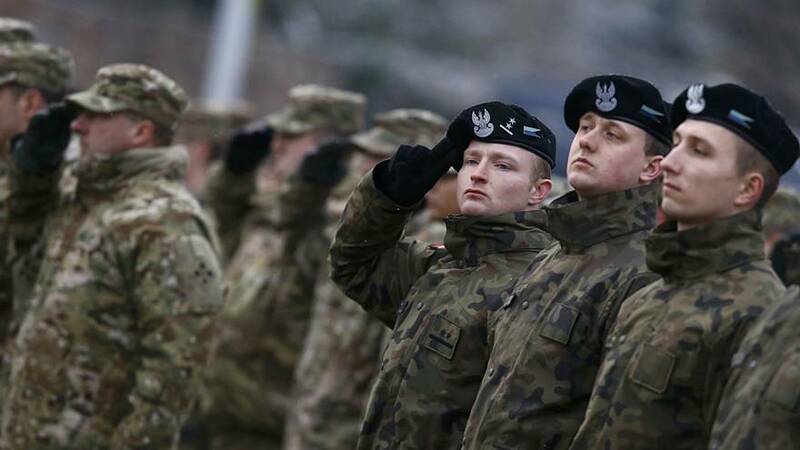 There are already US forces in Poland on a rotational basis but recent Russian actions mean a permanent presence is now necessary, according to the document. A spokesman for the Kremlin said the “gradual expansion of NATO military structures towards our borders” would not improve security or stability. “Aggressive Russian actions — as seen in Georgia in 2008 and most recently in Ukraine in 2014 to the present — is destructive for international stability and international legal principles,” reads the paper’s introduction. “As shown in Ukraine, Russia is capable of effectively deploying hybrid warfare through its annexation of Crimea, cyber attacks on Ukrainian infrastructure, and fuelling separatists in eastern Ukraine. “Russia is seeking to strengthen its political and economic relations with key European countries at the expense of US national interests. Earlier this year, Poland signed a $4.75bn (€4.08 bn) deal to buy a Patriot missile defence system from the US. It was part of a major investment programme in upgrading the country’s military hardware — two-thirds of its weaponry dates from the Cold War era when it was in the Soviet-led Warsaw Pact. The move appeared to anger Moscow. Deputy Foreign Minister Vladimir Titov said it was part of a US plot to surround Russia “under the pretext of mythical threats to security”. Poland is part of NATO, the defence alliance between North America and Europe that was founded, in part, to deter Soviet expansionism. Poland’s Ministry of National Defence did not immediately respond to Euronews’ request for comment on the paper. But it did confirm to Politico that the document was genuine and had been sent to the US government.